Does a picture book need an editor? George and Ghost are friends, but George isn’t sure he believes in Ghost anymore. How can Ghost prove to George that he is real? George and Ghost is a tale of friendship, with a little bit of science and philosophy thrown in. The author writes the story and the illustrator works on the illustrations. Does a picture book need an editor? Thanks for being part of my blog tour Rebecca. Glad you asked that first question. People often think that picture books are simple to write and therefore edit, however, picture books are actually quite complex beasts. Picture books start as a series of words and or images in the author’s head. These words are then interpreted by the illustrator and the editor has the job of making sure that the illustrations match the text in tone and make sense. In many ways the illustrator will add extra layers of meaning and even their own ‘in jokes.’ The editor is much more than just someone who looks at the text; they have to see the whole picture. Picture book editors begin by looking at the text which they may, or may not ask you to rewrite. They will look at it with fresh eyes to make sure the story flows, the language is clear and engaging. They may see the work in a completely different way to the writer. I’ve worked with some great editors and have learnt something from the editing process with each book. Different editors have different ways of working but the process should be an ongoing dialogue. When I first began writing, I didn’t think about what should go on each page; whereas now I’ve learnt that with illustrations your eye should flow naturally from one page to the next … and the placing of the text is a big part in the unfolding of the story. So the simple answer is yes, most definitely! What sorts of things did the editor do/ask/say about George and Ghost? I was very lucky with George and Ghost, as I had moved to the UK at that time and did not have a publisher over there. I sent a query email, as I was already published in Australia and was asked to submit. Within a couple of days I had a very positive response from the editor, which is almost unheard of in writing circles. So I felt good things would come. I ended up working with Emma Layfield at Hodder, who did a fantastic job. George and Ghost is about half the size that it was when I wrote it and that comes down to the editor and I seeing the story in different ways. When I wrote George and Ghost, I was living in the UK and my children were going to school there. I was also teaching science in the local high school. My science teaching background influenced me to an extent, so to me the story was about the scientific method, matter vs energy, how to measure appropriately … all sorts of things. It was actually quite a complex book to write, to get such big ideas in a simple form. However, my editor saw it as a book about childhood friendship. Actually, it’s both. In this case, Emma operated on my original manuscript and removed what I considered at the time to be quite vital components. She also suggested rephrasing the text … as a scientist I had posed each challenge as a question, with the repeating phrase ‘prove it.’ That phrase was ditched and we ended up agreeing on a format. Did you always agree with what your editor said? I didn’t agree at first with the changes, especially as I felt such a large part had been cut out. It’s sometimes difficult to step back from something you have been so close to for a while. I emailed copies of the new text to friends to ask if it made sense and they said that it did. In the end, I came to the conclusion that the story was stronger for having some of that material removed and crossed my fingers and toes. I planned to have supporting curriculum material on my website. Do you have to make changes to the story if the editor asks you to? The bottom line … yes. It’s a commercial product after all. In the end if you can’t come to a compromise, you have the choice of walking away, which would be a really drastic step for an editor or an author to take. If you feel really strongly however, and can logically argue the point, most editors will listen. With George and Ghost, I insisted very strongly on one particular point. I’d conceded most of the changes—however, one change I felt was scientifically incorrect and I couldn’t see how it could be acceptable. Eventually we worked out a wording where we were all happy. Basically, Ghost was trying to show that some things such as sunshine and music were real but didn’t weigh anything (because they are forms of energy). Ghost says ‘sunshine is real so it should take up space’ but in the next scene they try to weigh a ‘thought’. I didn’t want Ghost to say that thoughts were real, which would follow the pattern in the text. In the end we agreed on ‘And thoughts should weigh something,’ said Ghost. For me, that just felt a little better. How did you work with your editor? I usually work via email, that way, we’ve both got a record of what’s been said. That means that I can also work wherever I am. These days, illustrators can send big files, which is much easier than for my first book, where I had to go and physically view them. I can also think carefully about what I want to say. It’s always nice to meet the editor of course. I did meet the editor for George and Ghost after it was all done, at a publisher’s Christmas party in London, however I have other editors whom I have never met. How would George and Ghost be different if it hadn’t had an editor? Probably longer, and not quite so lovable! Emma also had the important job of finding the right illustrator and she made the perfect choice with Cassia Thomas. Her illustrations bring to life the emotions in the book, because in the end, it really is a simple story about friendship. Thanks for having me visit today and I’ve really enjoyed answering your questions. 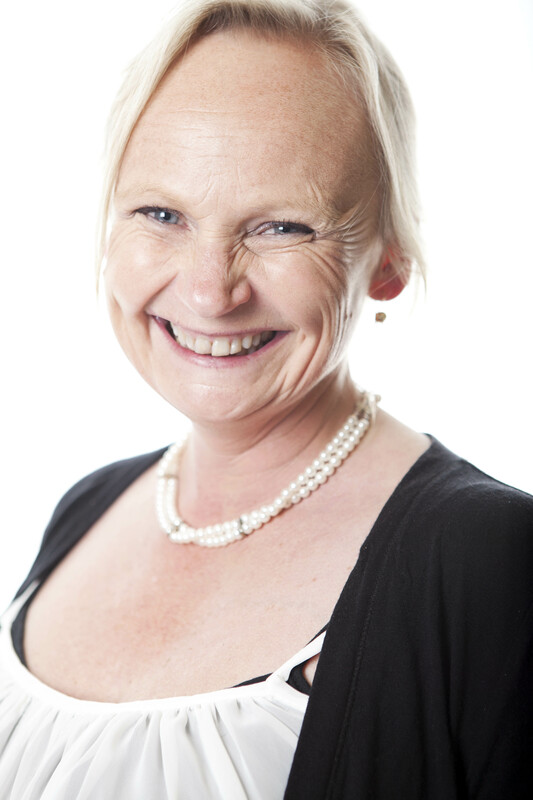 Find out more about Catriona Hoy and her books—visit her website. Tue 8 March Alphabet Soup Magazine Does a picture book need editing? Fri 11 March Dee White Ghosts? Do you believe? Sat 12 March Chris Bell Writing picture books. Sun 13 March Day off! 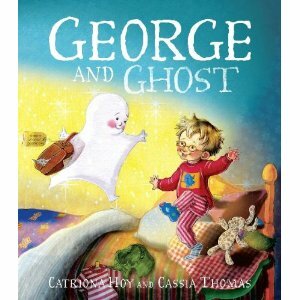 Download curriculum notes for George and Ghost. (PDF).